Paint your rolls white or brown. Cut out some tall ears and some paws from card and paint them too. 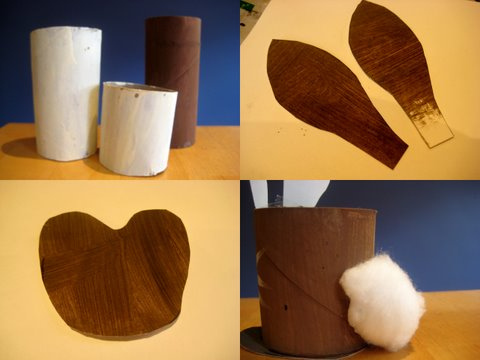 Once the paint is dry, use glue or sticky tape to fasten the ears and feet in place and add a cotton wool ball for a tail. Adding the feet is important if you’re going to fill your rabbit, as they will stop your treats falling out. Give your rabbits some cute faces. You can paint them on, draw them, or even use googly eyes. We folded over the tips of the ears too, to give the bunnies extra character! 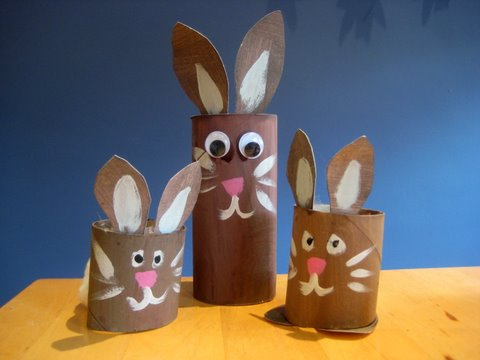 You can make a whole family or burrow full of rabbits and enjoy some imaginary play. 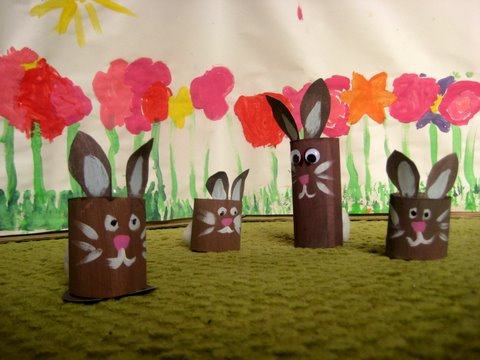 If you’d like to make your rabbits a beautiful meadow to live in, hop over to see how we made our flower meadow mural. 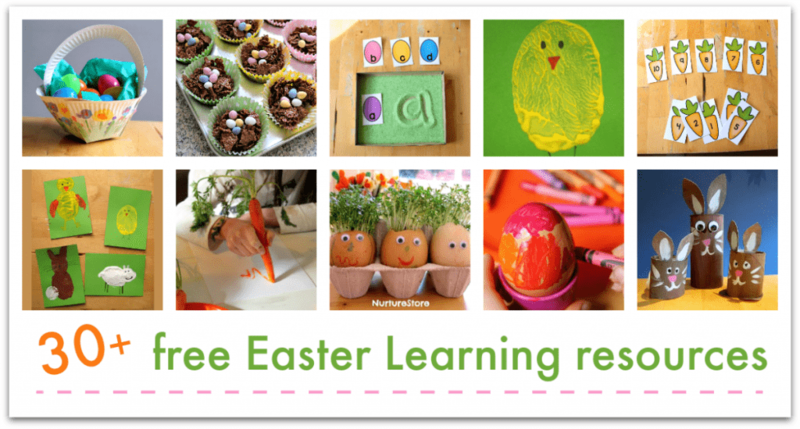 I love all the little touches on this craft – we might make it too for Easter. Oh these are really cute! I love how they all have different characters and love the details! Very cute. I show some Easter Bunny Eggs on my blog a few days ago. these are adorable. 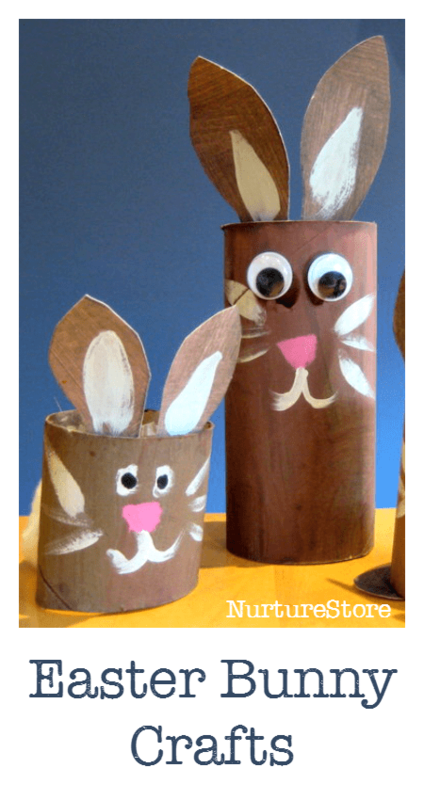 we always have a collection of toilet paper rolls, so this would be a fun and easy craft!! thanks for the idea. Very cute! The pom-pom tail or the cotton ball tail is my favorite. LOVE these, my friend!! they are too cute for words–thank you for sharing on our ‘new for us friday link-up!! 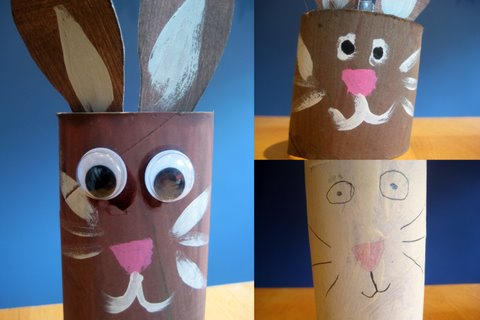 Love the idea of filling the tp roll animals with treats! Hi B Fryman- so do my girls! Oh they are so cute! Lovely, lovely little faces! Thanks for sharing! We did these last year, think ones still floating around. Really great, always got plenty of used toilet rolls in our house! Glad to hear one’s still going strong Fiona! Love these! We’ll be making some this weekend, I think! Thanks for sharing this on Sunday best! Very cute! Elle could have fun using these for imaginary play! Thanks for sharing! Those are adorable!!! Thanks for sharing them at For the Kids Friday Link Party! Thanks Rachel, great to link up with you. These are just fabulous. I’m so glad you popped them on the RC. Hope to see you back soon with some more of your great ideas! A pleasure to join in Julia. Thank you for linking these cute bunny’s up to the World Animal Day bloghop! we just finished four for Easter, very proud!